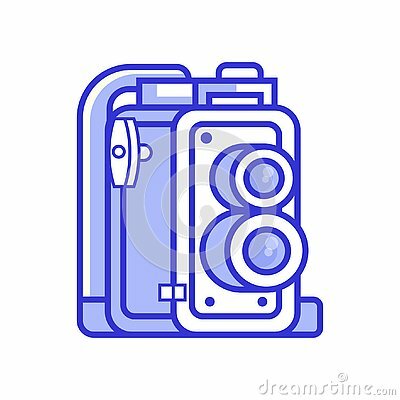 Vintage twin lens reflex camera icon. Old manual photographic equipment in line style. Retro photography analog device. Antique retro film camera.